If you are one for all day rock out events, then this one’s for you.Ã‚Â This just in: Lindy PromotionsÃ¢â‚¬â„¢ Uncle Sam Jam and HiBall EventsÃ¢â‚¬â„¢ National FreedomFest are combining forces to bring Washingtonians the inaugural Great American Festival, a day-long music extravaganza that will take over the stunning National Harbor waterfront pavilion, deck, piers and beach on June 30. Ã‚Â·Ã‚Â Ã‚Â Ã‚Â Ã‚Â Ã‚Â Ã‚Â Ã‚Â Ã‚Â General Admission tickets, which permit access to the main event areas: bars, main DC101 stage, DJ stage, beach, and piers. Tickets are available for the early price of $19.99. An additional $20 covers five drinks, which will be $6-per-drink on event day. All ticket holders must be 21. Ã‚Â·Ã‚Â Ã‚Â Ã‚Â Ã‚Â Ã‚Â Ã‚Â Ã‚Â Ã‚Â VIP ticket holders will enjoy a selection of Miller Lite drafts all day, and bonus access to a private VIP acoustic stage and separate VIP restrooms. VIP partyers will also have priority for the best views of the National Harbor Fireworks Show. Prices for VIP tickets are $59.99. Don’t worry, you will be well lubricated and satiated as food and spirits will be on sale from vendors and will stave off hunger and thirst so you can keep dancing, fist pumping, and waving your hands in the air like you just don’t care. Don’t drink and drive.Ã‚Â Stay the night and wake up next to that special someone … or not:Ã‚Â The Gaylord National Hotel will be offering a special room rate of $169/night for festival-goers. Rooms can be booked via a link on the Great American Festival Web site. Live bands that will be performing on the DC101 Band Stage include Ozomatli, reggae band See-I, The Dance Party, and Lost in Paris. DJ acts like Chris Styles, Skratch & Sniff, Maskell, DJ Pat Premier, DJ Beach, Neekola and DJ Flounder will be spinning throughout the day. 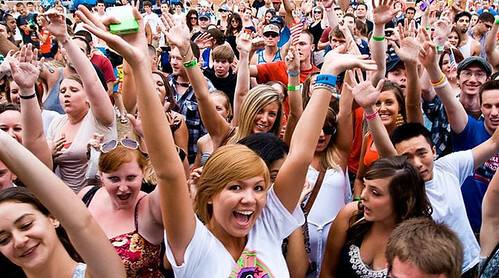 The 2012 Great American Festival is sponsored by Miller Lite, National Harbor, Bacardi, Eristoff Vodka, Monster Energy and the Gaylord National Hotel. 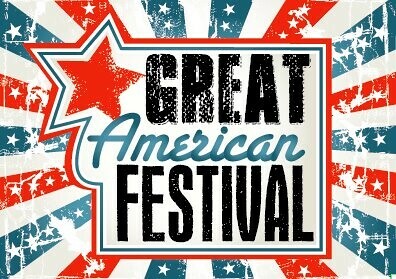 For tickets, show information, and an updated list of confirmed acts, visit GreatAmericanFestival.com.